Bangalore: Two Tejas fighters from the No 45 Squadron, Flying Daggers, landed at Langkawi in Malaysia on Friday ahead of the 5-day Langkawi International Maritime Aero Expo (LIMA-2019). The 15th edition of this biennial show will begin on March 26 with a focus on maritime and aerospace sectors for defence, civil and commercial applications. The Indian Air Force (IAF) earlier on Friday had confirmed about the departure of two Tejas fighters from Air Force Station Kalaikunda via Myanmar (Yangon). This is the first time IAF is participating at LIMA. 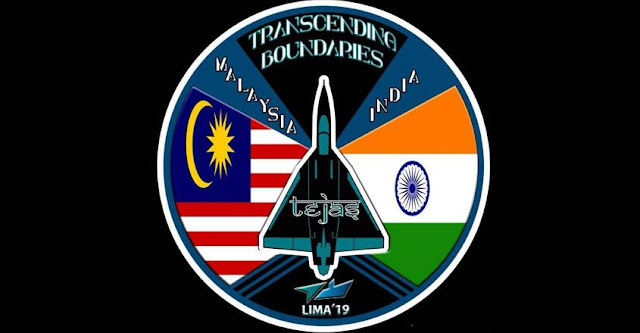 IAF said the participation of Tejas at LIMA-2019 will provide an opportunity to air warriors to interact with their Royal Malaysian Air Force (RMAF) counterparts and foster close relationship between the two services. It also said the participation will serve as a foundation for any future interaction with RMAF, in addition to their pilots to assess the capabilities of Tejas. At the show, in addition to the Tejas, a C-130J and an IL-76 are part of the IAF team. Both heavy-lifters are providing the logistics support for Tejas. The Tejas will be part of the aerial display on all days. The IAF contingent consists of around 80 members, including personnel from Hindustan Aeronautics Limited. An official confirmed to Onmanorama that Commanding Officer of Flying Daggers Gp Capt S Dhankar is leading the Tejas team. The Flying Daggers are based out of Air Force Station Sulur near Coimbatore. This is the first time the Flying Daggers are on a foreign soil for an international exhibition after the formation of the No 45 Squadron in July 2016. However, Tejas was part of the Bahrain International Air Show (BIAS) in January 2016, flown by the pilots of National Flight Test Centre. Tejas’ participation at BIAS was historic as it was for the first time the indigenous Light Combat Aircraft touched on a foreign soil (Sakhir Airbase, Bahrain) for an air show. At LIMA-19, Tejas is expected to demonstrate low-level aerobatics to demonstrate the handling qualities of the aircraft. “For the first time, the squadron pilots will be at the controls. LIMA-2019 is going to be a big sales pitch for India. There will be many bother customers in addition to Malaysia, who will be interesting in Tejas,” an official said. The Flying Daggers now operate 12 Tejas fighters at AFS Sulur and another four more will join the squadron soon. The IAF is planning to raise one more Tejas squadron based out of Sulur. Interestingly, the JF-17 Thunder of Pakistan which was rumoured to be participating is missing from LIMA-19. JF-17, a fighter co-developed by China and Pakistan, had skipped the Bahrain show as well in 2016, after much hype over its expected ‘encounter’ with Tejas. Malaysia is scouting for platforms similar to Tejas and have shown keen interesting in India’s home-grown fighter. Kuala Lumpur has been in talks with Pakistan over JF-17s. As the Tejas landed in Langkawi, Malaysian Prime Minister Dr Mahathir Mohamad has begun his three-day official visit to Pakistan on Friday. Reports in Pakistan media suggest that JF-17 might be giving a demonstration to Dr Mahathir. Interestingly, the Twetteratti is already abuzz with posts asking why the JF-17s had chickened out for the second time from a show, which had confirmed Tejas participation. “May be they are fearing about radar signature of JF-17 getting leaked out with Tejas around. Or show performance of Tejas can easily be superior to JF-17,” says a Twitter post.